Seven members of Ingushetia’s law enforcement officers found guilty in torture case | Russian Legal Information Agency (RAPSI). 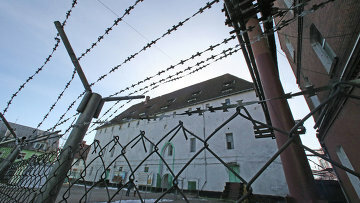 MOSCOW, July 27 (RAPSI) – The Nalchiksky Garrison Military Court has sentenced seven employees of the Center for Counteracting Extremism (“Center E”) of the Interior Ministry’s Directorate for the Republic of Ingushetia as well as regional Federal Security Service (FSB) directorate, to prison terms for a range of crimes, lawyer Andrey Sabinin has told RAPSI. The law enforcement officers, depending on their individual actions, were charged with murder, robbery, extortion, burglary, theft of documents, forging of documents, and abuse of office using violence leading to grave consequences. According to investigators, the law enforcement officers used violence against a cashier of a bank and his wife, demanding their victims to confess to organizing and committing a robbery of Rosselkhozbank regional branch in Ingushetia. Investigators found that the victims were harshly beaten with the cashier being at one point asphyxiated, resulting in his death. Investigators believe that the criminals were responsible for numerous other crimes. The court sentenced the former head of the Center’s regional directorate Timur Khamkhoyev to seven years in a regular penal colony. The Center’s employee Alikhan Bekoyev was sentenced to ten years in a high security penal colony, while his former colleague Andrey Beznosyuk received a six-year prison term. Ye another officer of the Center Isa Aspiyev was sentenced to five and half years in jail. Former employee of the FSB Mustaf Tsaroyev was sentenced to five years in a regular penal colony. Ex-head of the local police station received a 3-year prison term. Former deputy head of the Center’s directorate Sergey Khandogin received a probation term of 3 years.